My name is Renice, most people know me as Neci. I am from Nashville, TN, but I currently reside in Georgia. 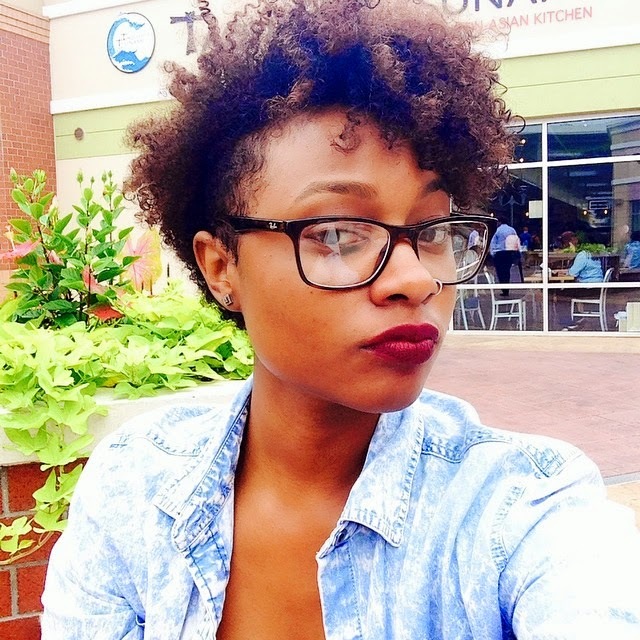 I have been natural for about 6 years. After my first year I thought I wanted relaxed hair again, so I went to my beautician and begged for her to do it. She did, and barely 1 month later, I cut my own hair off again. I was wearing a short haircut while in college and it got hard to afford my relaxer. I waited so long that, after washing, the whole back of my head was full of curls I’d never seen before. I decided right then to cut the long pieces. That’s how I got my TWA. I have fine, 3C curls. I love my curl pattern and that my hair is really easy to manage. I’m an on-the-go person, so I like to wear styles that don’t require much time. The most memorable and difficult part was the beginning. When I first went natural, you could only get product online and they were so expensive. I’d try things out, they didn’t work, and I’m out $50 bucks! Also, I had to learn the hard way that these products will sell you a dream on the bottle and have you thinking it’s going to transform you hair. You have to understand your texture and realize that your hair may not look just like the model on the picture. I had to learn. I also had to get used to shrinkage and the overall natural look. I had to get used to messy hair. I was used to sleek, relaxed hair that laid right were I place it all day. I had to accept the frizz from humidity and the occasional unruly curl. Some of my staples were flat twist outs, two strand twists, and the puff, using a headband to pull my hair up into an updo. Before the natural hair community became well known, most women were rocking relaxers or sew-ins, me included. So the question that I got from a lot of my friends and family was “what are you doing with your hair?” People either loved it or hated it. People would joke and call me “Michael Jackson”, or “Rick James” or whatever other clever name they could muster up. It was funny, but without a strong sense of self, I wouldn’t have been able to do it. People make fun of things they don’t understand. 1 year ago, I decided to embrace my natural curl pattern and stopped wearing twist outs. My staple now is a wash n go. I don’t really have “staple” products, but my regimen is pretty much the same. I cowash, and deep condition once a week because of my hair color, I add a leave in conditioner and a styler, and air dry. I use a Q Redew steamer and a little water to refresh when needed. Lately, I have been using Miss Jessie’s Creme de la Creme conditioner and leave-in and Pillow Soft Curls for my wash n go. I seal with Moroccan oil while wet. When I was a new natural, Taryn, and MsVaughn saved my life! It can get so confusing, and their YouTubes where extremely helpful! 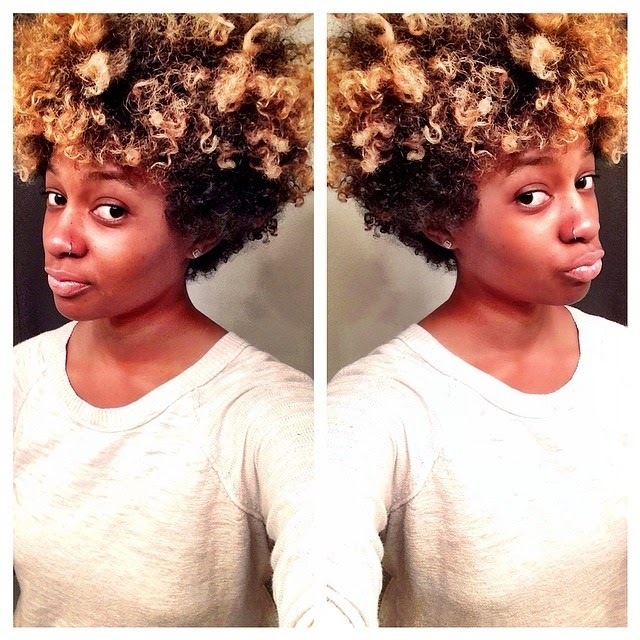 If you want to wear your natural hair, wear it! Wear it how YOU want. Don’t let the “norm” keep you from being an individual. You can find me on Instagram @ITSNEECEE and on Facebook as RENICE ‘Neci’ SULLIVAN. My bestie, @MESHAV on Instagram, and I have recently launched our own blog called HEYCURLHEY.COM. It will be full of styling tips, etc! 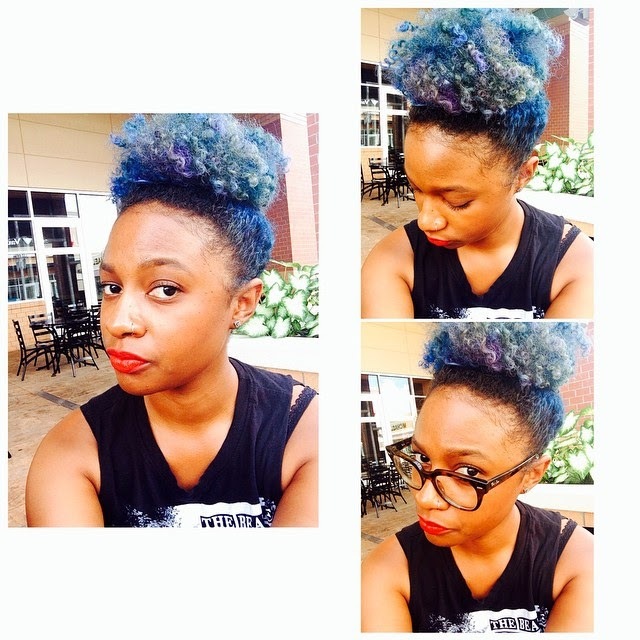 Follow us on Instagram at @HEYCURLHEY_ or email [email protected] for you styling questions!